Saturday, June 27th marked the kickoff of Bass season in Muskoka! Delawana Resort is fortunate enough to have both small and large mouth Bass at the edge of our resort docks on Georgian Bay. Spend your Bass fishing season in Muskoka at the Delawana Resort. Enjoy convenient aluminum boat rentals offered at the resort, or excellent docking rates when you are staying in our cottage rentals or resort accommodations. Also, from July 4th - 12th, The Ontario Government allows licence-free fishing in Muskoka. Delawana Resort has some of the best fishing in Muskoka with an array of different fish , such as Northern Pike, Muskie, and Trophy Walleye. Celebrate your licence-free Muskoka fishing adventure with us at the Delawana Resort! 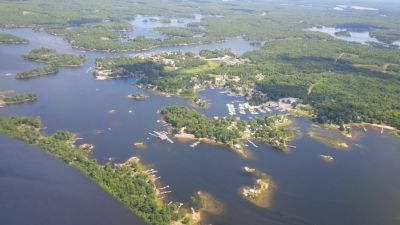 The Ontario Government designates only two periods throughout the year for license-free fishing in Muskoka: February 14-16, 2015 (12:01 a.m. Saturday to 11:59 p.m. Monday) and July 4-12, 2015 (12:01 a.m. Saturday to 11:59 p.m. Sunday). Bring your family and friends to the Delawana Resort to participate in this rare fishing occasion on one of the most beautiful bodies of water in Muskoka, Ontario: Georgian Bay. The new restaurant at the resort, The Narrows Grill, and all of our other resort activities are open for your family and friends to enjoy while on your Muskoka fishing trip. Book your resort or cottage visit with us today by visiting http://delawana.ca/contact/. Fishing in Muskoka couldn't be any more fun! For more information on fishing regulations in Muskoka and Ontario, please visit https://dr6j45jk9xcmk.cloudfront.net/documents/3981/2015-english-fishing-regulations-summary.pdf.